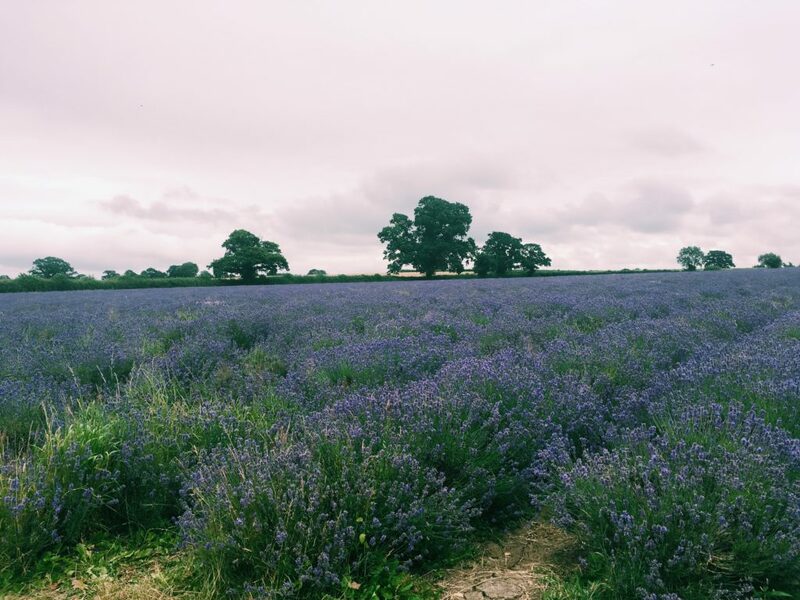 I’m a big believer in using the internet to find new places to visit and when I saw a follower on my instagram account post pictures from Somerset Lavender Farm, I knew I had to go. Luckily, I was due a trip back to the West County for my cousin’s birthday so we decided to spend our Sunday morning by going for a drive in search of the beautiful fields. And after around 40 minutes driving through country lanes while listening to the music of Dolly Parton, we did in fact find the amazing lavender fields. Having seen a good number of photos posted online, I was certain I was going to be elbowing people out of the way to get my own picture but we only shared the field with around 5 other people. And thanks to the sheer size of the area, we managed to all find our own patches. Entrance to the fields are free but there is a donation box for those who want to say thanks – and why wouldn’t you, these fields are beautiful! While we were there, it began to rain so we ran over to the wooden hut which also is a coffee shop and had a quick drink and a snack while the rain went off. I had literally the best toffee cake I have ever eaten along with a small teapot of fresh mint tea. Nothing better than fresh mint tea while sat in the middle of a farm. After spending some more time wandering around and taking pictures, we called it a day and headed out. But it reminded me that there are so many things to see and do on my doorstep and even though work is hectic, there is always something fun and interesting to do a short drive away. Somerset Lavender Farm have a website giving you directions and opening times. Generally, the farm is open from May through September from 10am – 5pm. "The scariest slide in the world"
"Getting out of London to visit a field of flowers"
Wow, what a striking image, looks so massive. I would have definitely gone for the toffee cake also if the weather was not so good – this was a fun trip! I wish I was there – Those lavender fields look so picturesque. I would’ve probably clicked a 100 pictures there. Did you take more? Such a wonderful place. I could have taken hundreds but I only had my mobile phone camera on me – i’m thinking about going back again with my actual camera and getting some good shots! I am a big instagram stalker for things to go see and visit. Well done on finding your own patch to enjoy. Thanks! Glad i’ve found someone else who also does this. It’s found some amazing locations for me! I’m a lavender lover too!! 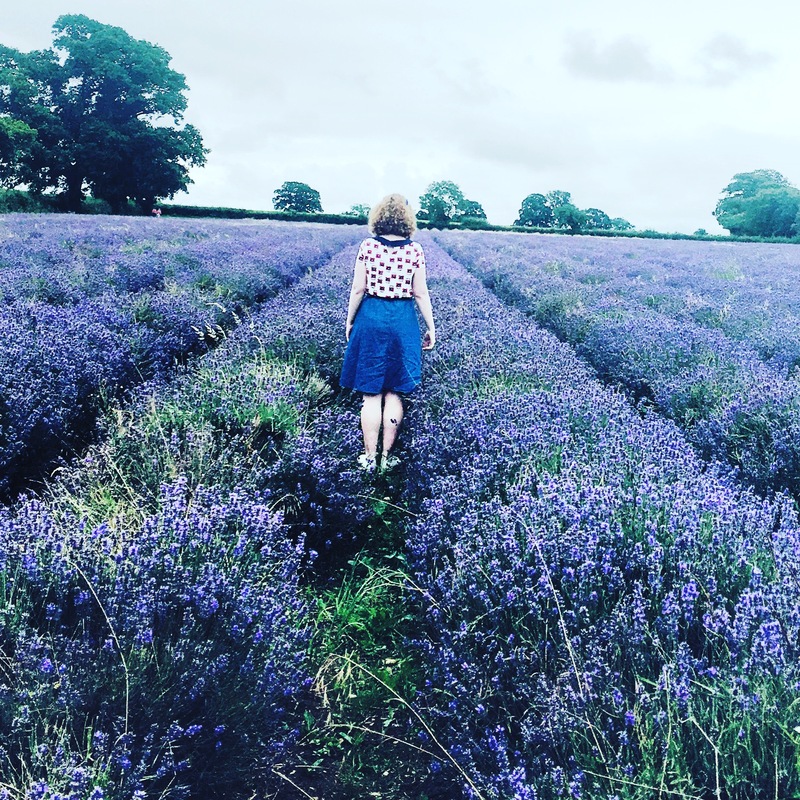 When I saw the lavender fields for the first time I was like a child, running around, posing for photos, smelling the scent of the flowers… But I never had a mint tea by the fields, that’s an experience I will write down on my wish list! I have been to Tulip gardens, Rose gardens but not Lavender! Looks so beautiful. And that shot is just awesome. Never thought of using Instagram to look for places. Nice tip. Thanks! Yes you can ever search by location and check if the lavender etc is still in a good way! Such a gorgeous color purple. Big areas of one color make for such an idyllic photo. I’d love to take a photo like this in a field of sunflowers! Yes sunflowers are my next goal!! I think the photos would be epic! Ahhhhh—- I would go crazy seeing this. I love gardens and fields and farms. I love the photos and the color. lavender is one of the great boons of nature. Lavender fields look so spectacular and you can do nothing else but admire the sheer beauty of nature. Lovely pictures, a great way for me to start the morning. Seriously stunning, and how awesome that you didn’t have to fight off huge crowds! I think I would pack a whole wardrobe and play model shoot in those fields for the day!! All these lavender flowers are beautiful! I supposed there are no crowd at this time? I love the first shot of you and the farm. Wonderful share!